Valentine’s Day can be really exciting for our littlest learners…especially when they involve interesting activities, games, and yummy candy! 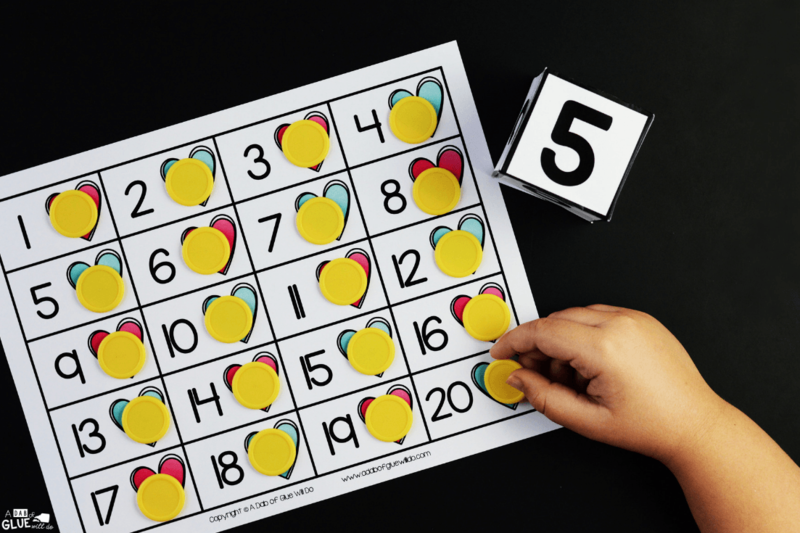 I’m always looking for ways to connect what our students are learning to things that matter to them, like with games they play, counting coins, counting blocks, and even counting each other as we line up for lunch. 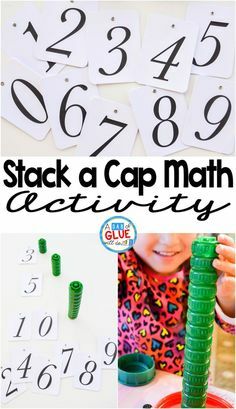 Students love numbers and get excited when they find numbers or objects they are able to count. There are so many things around us with numbers and different ways we can build upon our number sense. 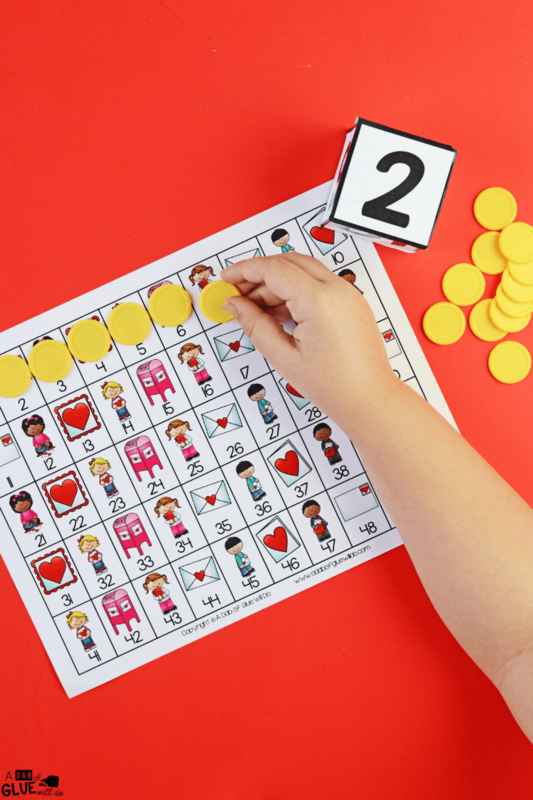 Incorporating Valentine’s Day into playing math games is a great way to engage our little learners in a hands-on way. 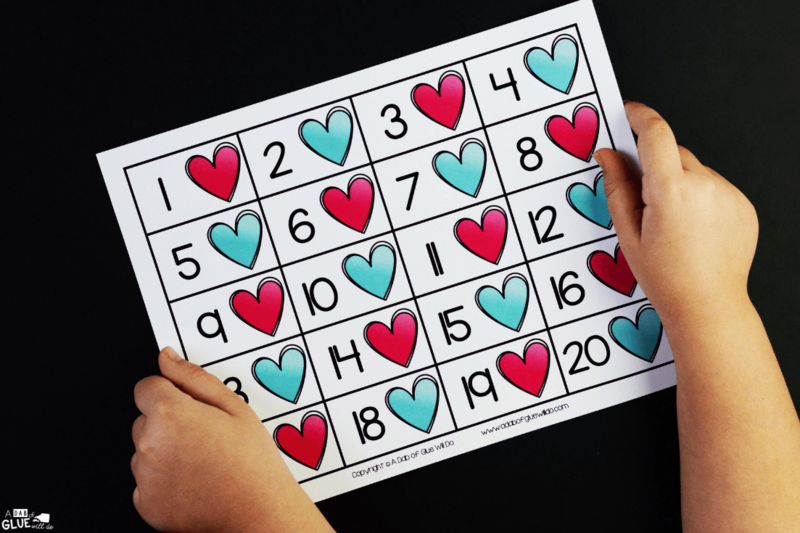 We begin learning the concepts of number sense with our Valentine’s Day Numbers Puzzles because students enjoy learning their numbers with these holiday-themed puzzle pieces. 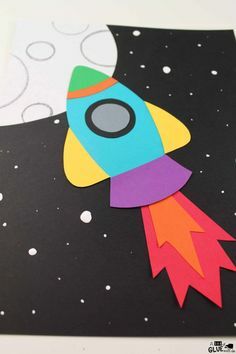 And we show off our science knowledge with our February Science Experiments. 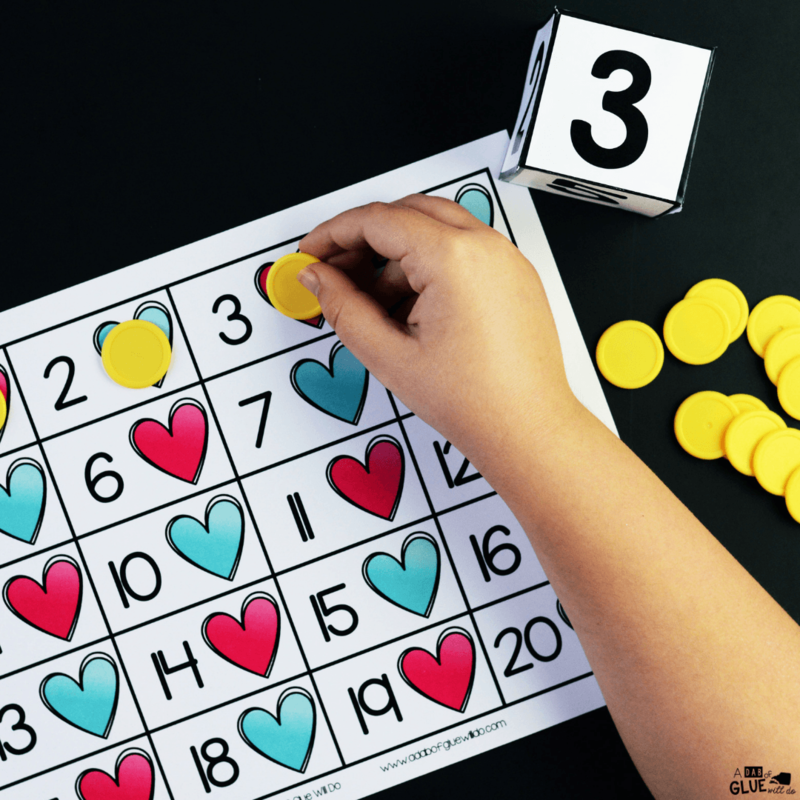 To further their learning with Valentine’s Day in mind students build on their counting skills with our Valentine’s Day Skip Counting activity. 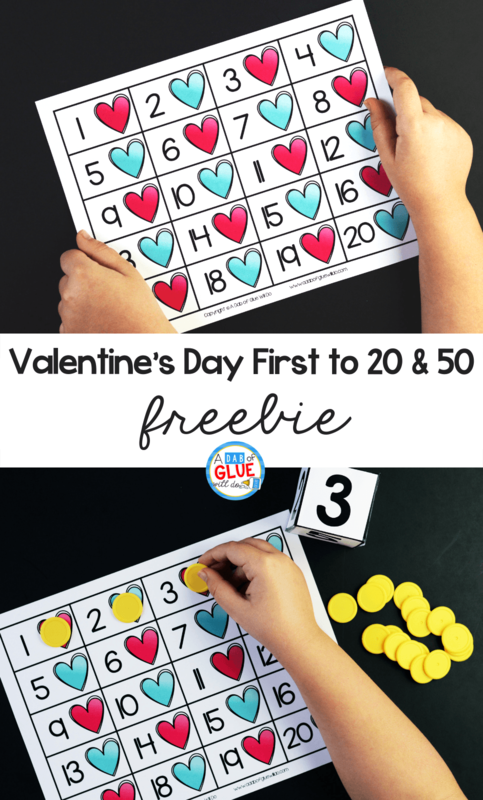 I’ve found another way to connect counting and Valentine’s Day, with this Valentine’s Day First to 20 and 50 Activity. 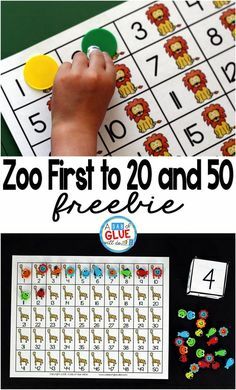 We use this game to help our preschool and kindergarten students learn and review their number sense to build a strong foundation for more complex math skills. When students learn to count using manipulatives, they are more prepared to understand the concepts behind these math problems. 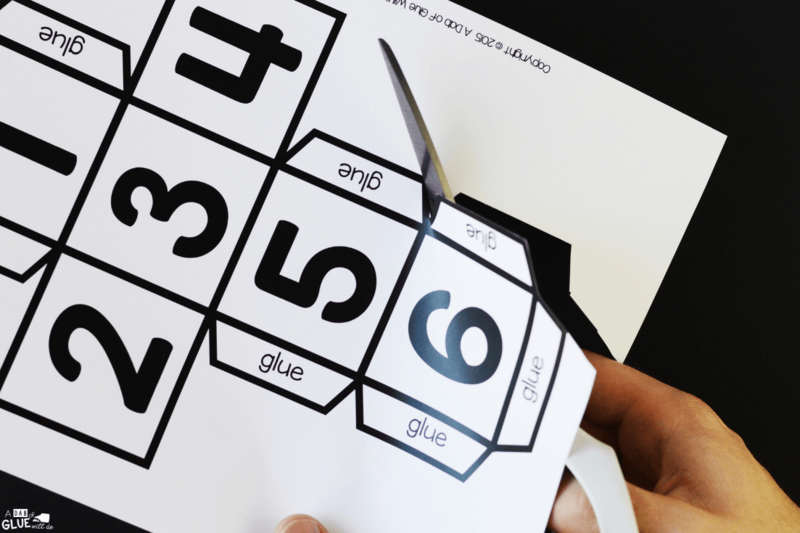 Want even more activities using numbers for your students? Be sure to take a look at our Number Subitizing Match-Up Mega Bundle. 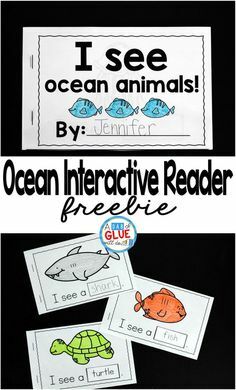 I recommend you print this center on cardstock and laminate it so you can use this center year after year. 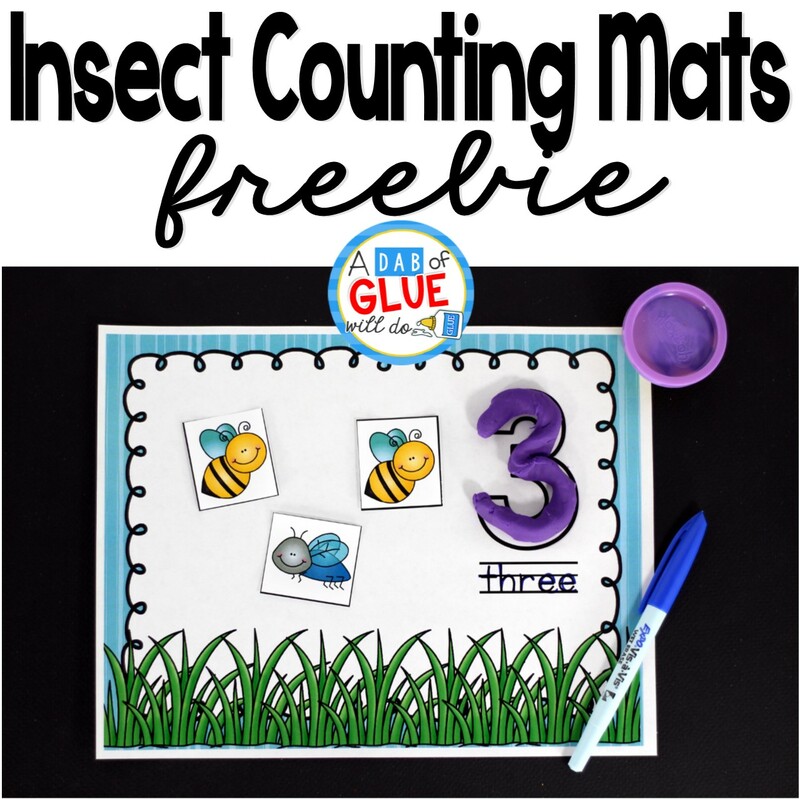 This counting game is the perfect addition to your holiday-themed math centers. To start this Valentine’s Day First to 20 or 50 game students will pick the mat of their choice. Our little learners will each roll the counting cube (or a die) to see who will start the game. The highest (or lowest) number goes first. The first person will roll the counting cube. This student rolled the number “3” so she placed three counters on the mat. The next person will then roll the cube and place the corresponding counters on their mat. This student rolled the number “5”, then placed five counters on the mat. They will continue until the “winner” fills up their board to twenty. 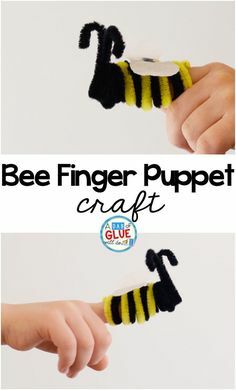 If you have younger students or students struggling with this concept that might be overwhelmed, you can differentiate this activity and have them work in groups until they are able to master their counting skills. 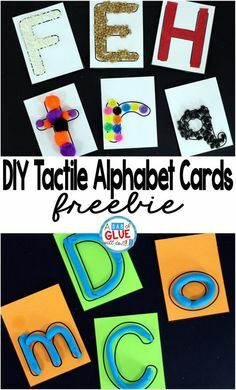 To simplify things more and to build their confidence you may want to have kids practice filling their mats to twenty on their own before they play the game with other students or in groups. 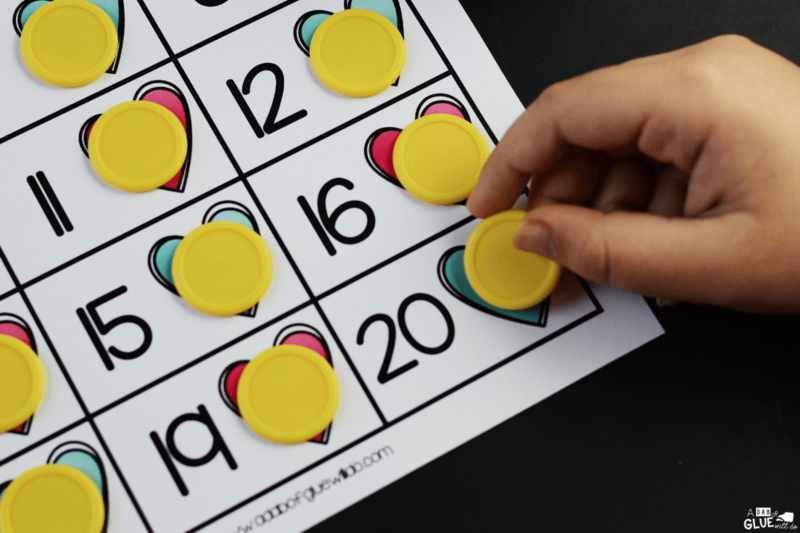 To make things even more fun, you can make it a rule that they have to roll on the exact number left in order to fill up their board and win. For learners needing more of a challenge, they can play with the First to 50 mats. Students will follow the same instructions but will have 50 spots to fill on their mats. 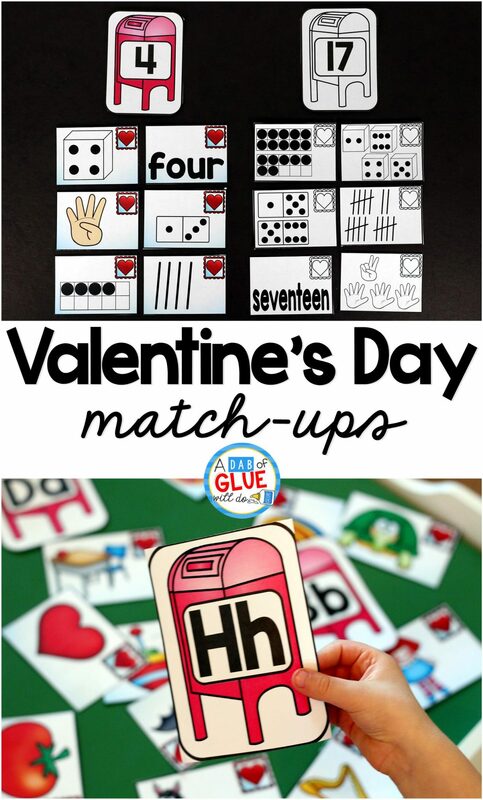 If you want to extend the Valentine’s Day theme across your curriculum, check out all of our Valentine’s Day Initial Sound and Numbers Match-Up. 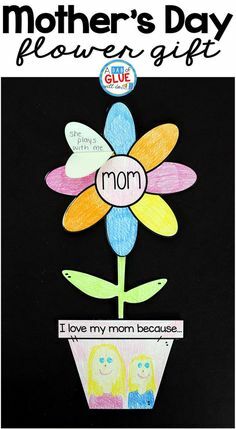 Download Your Valentine’s Day First to 20 and 50 Activity Printable Below! 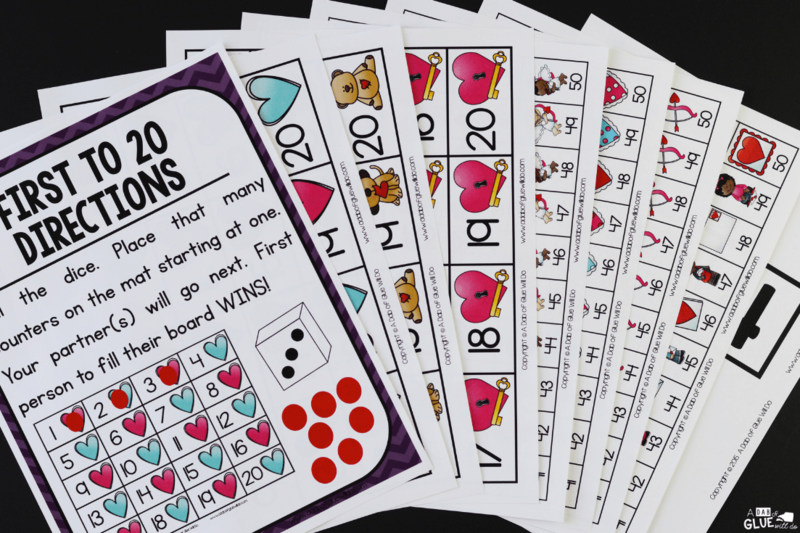 Have a heartfelt time counting and celebrating Valentine’s Day with our Valentine’s Day First to 20 and 50 Activity.